The Apple of His Eyes: Wedding Galore! Can you hear the wedding bells ringing? 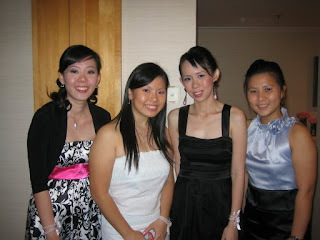 Many friends of mine have chosen year 2008 to tie the knot. And yes, that would also mean more red bombs. 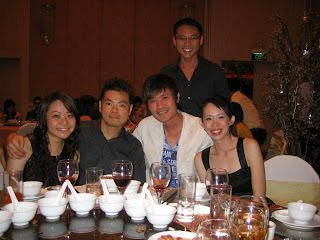 From May 2008 onwards (till Dec 2008), I have like 8 wedding banquets to attend. Attended 2 in May, attended 1 in June and one more coming up the week after next. Each relationship has its own beautiful story but all the love stories end with the same outcome; couples to walk down the aisle together, holding hands. 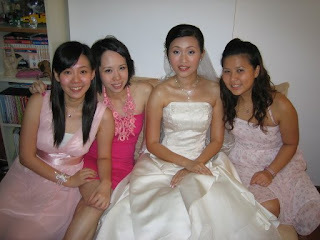 Each time after a wedding dinner, I got the urge to replay my wedding DVD which often brings back the memories of my wedding day. And it tells me, not to take my partner for granted, and continue to love each other. 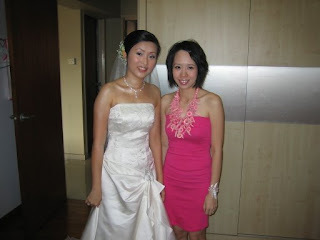 Here's some pictures taken during the last 3 weddings attended. 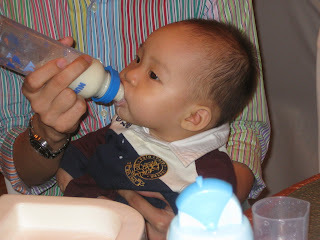 And Ziv attended his first wedding dinner, the Cindy and BS's wedding, he was fascinated by the lighting as well as the loud music and seeing mummy on stage hosting the event. He was pretty well-behaved, clapping hands when people are welcoming the bride and groom, feeding mummy & daddy biscuits and viewing the video montage. The bridesmaids... from 5 down to 2. 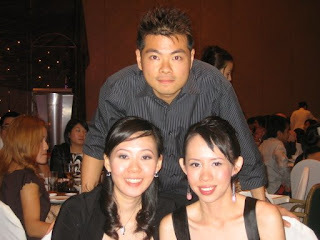 Picture with Kris and Adeline... Poly mates. The white cloth is actually a bathing towel. 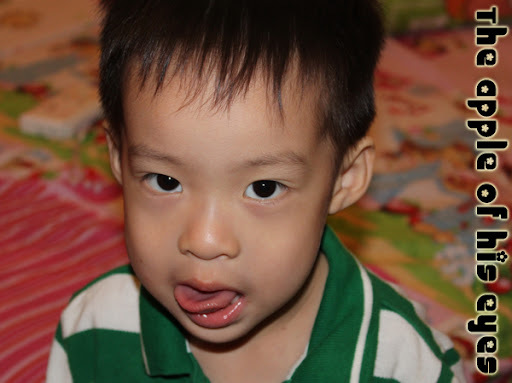 Trying to act handsome!! Duh!